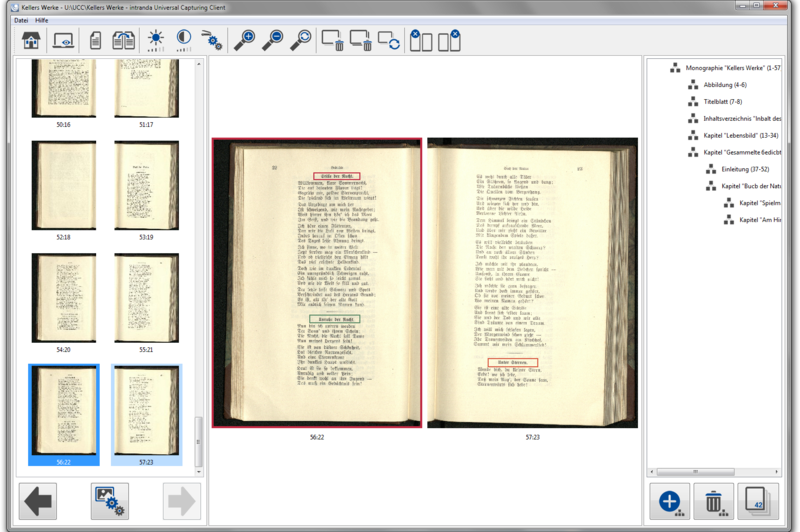 High-quality digitisation involves more than creating images. Use the valuable unused time during scanning while the material is being browsed, page-by-page. If the page numbers are no longer consecutive, select a new pagination option from the current image and apply the new format automatically to subsequent scans (Arabic, Roman, unnumbered, page counting, column counting, sheet counting, foliation). Tap “Chapter” when you want to start a new chapter. Or select another structural element from any configurable, rule-based list of hierarchical structural elements. Use this method to automatically create a digital table of contents for structured documents of any depth. Your data can be used over the long term with standardised library formats. Your pagination and structural data are saved by the UCC in valid METS files and are available for any type of further processing. using the UCC in your scanning process means instant access to complete image sets, structural data and metadata. Make your content available to your users immediately afterwards: as a PDF, in Goobi or in the new Goobi viewer. Where possible, the UCC aims to support manual tasks with useful automation or indeed eliminate the tasks altogether. One particularly helpful feature, for example, is the automatic page number checking function that is performed during scanning as a quality control measure. 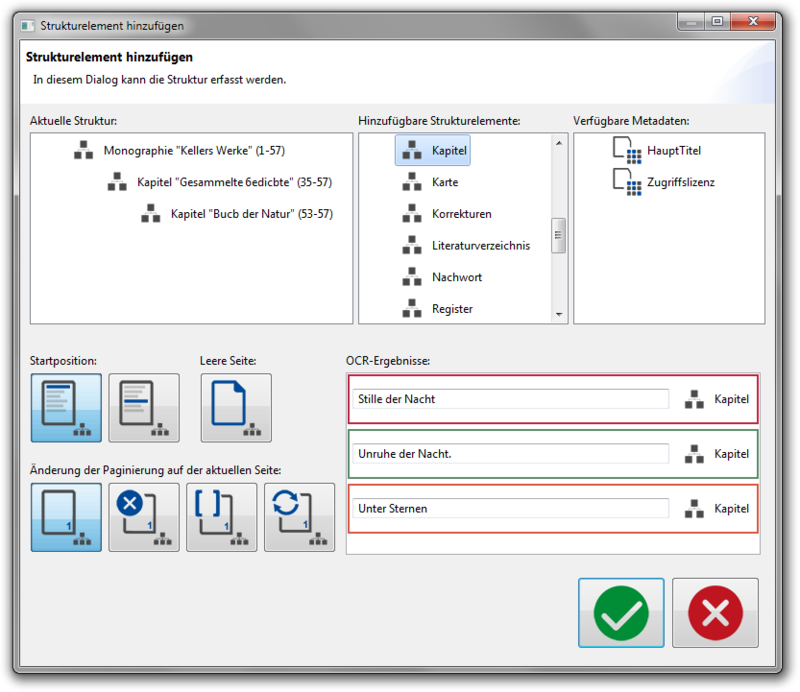 Pages that have been skipped are immediately identified automatically with the help of the pagination function and the scan operator is notified. The number of pages hereby identified is also used for the UCC’s fully automatic pagination function. So the quality control measure saves time on two fronts: pages are no longer skipped during the scanning process and pagination sequences are created automatically.